Paint-N-Sew! 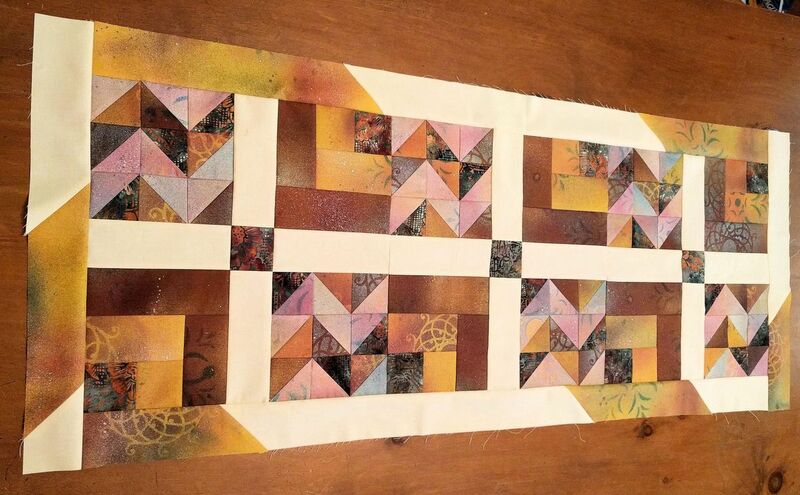 A Painting, Sewing, & Quilting Event. 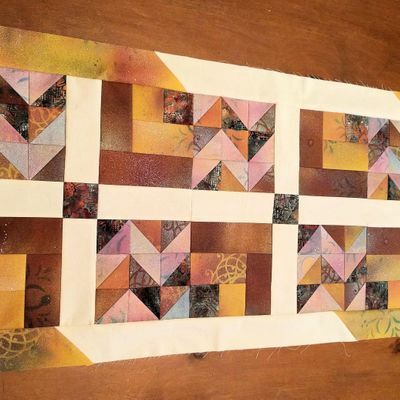 Designer, Author, and Fiber Artist, Michele O'Neil-Kincaid will be teaching an exciting new technique to create a one-of-a-kind project with the use of Marabu™ spray fabric paints. Based on your "inspirational" fabric choice, this easy to sew project will be a great way to learn fabric painting with the use of stencils and over-painting techniques. Painting supplies will be provided. Other supplies list will be sent upon registration. Since this project does not rely on having previous art or painting experience, the joy of creating something unique and personal is the focus and allows for a lot of creativity.We are looking forward to this fun, creative and unique workshop! NOTE: This is a retreat workshop event where you will complete your project while staying at the lovely, historic Brandon, Inn, Brandon VT. Single or Double Occupancy available with most meals included. Email us with any questions. Paint-N-Sew! A Painting, Sewing, &amp; Quilting Event.